One, Inc. v. Olesen 355 U.S. 371, issued today January 13, in 1958, is a landmark United States Supreme Court decision for LGBT rights in the United States. 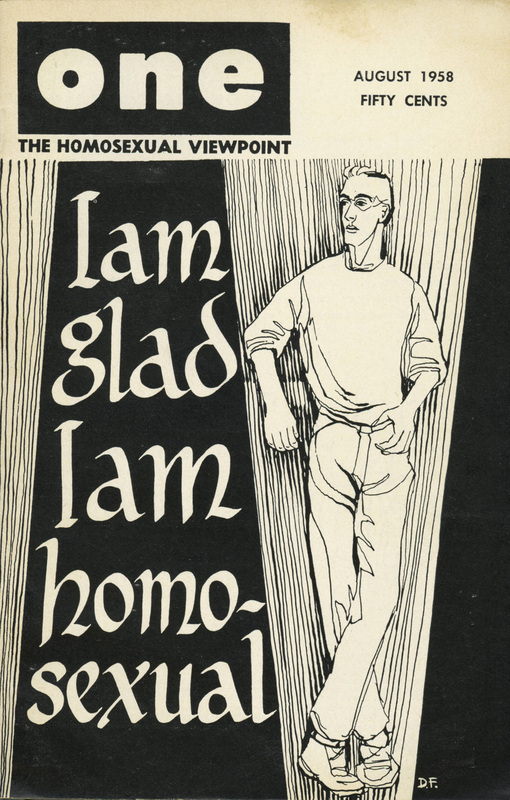 It was the first U.S. Supreme Court ruling to deal with homosexuality and the first to address free speech rights with respect to homosexuality. 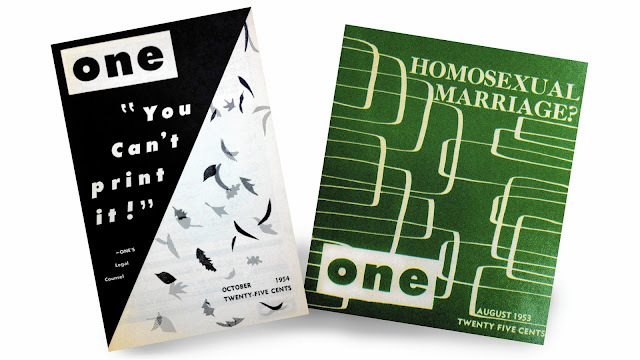 ONE, Inc., a spinoff of the Mattachine Society, published the early pro-gay ONE: The Homosexual Magazine beginning in 1952. 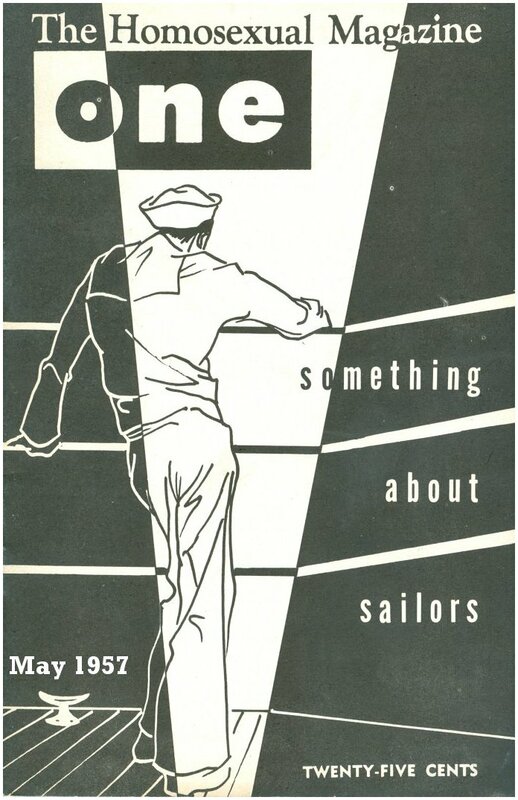 After a campaign of harassment from the U.S. Post Office Department and the Federal Bureau of Investigation, Los Angeles Postmaster Otto Olesen declared the October 1954 issue "obscene, lewd, lascivious and filthy" and therefore unmailable under the Comstock laws. 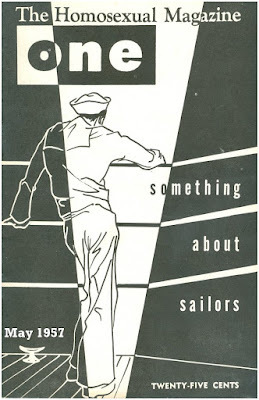 In that issue, the Post Office objected to "Sappho Remembered," a story of a lesbian's affection for a 20-year-old "girl" who gives up her boyfriend to live with the lesbian, because it was "lustfully stimulating to the average homosexual reader;" "Lord Samuel and Lord Montagu", a poem about homosexual cruising that it said contained "filthy words;" and an advertisement for The Circle, a magazine containing homosexual pulp romance stories, that would direct the reader to other obscene material. The magazine, represented by a young attorney who had authored the cover story in the October 1954 issue, Eric Julber, brought suit in U.S. District Court seeking an injunction against the Postmaster. In March 1956, U.S. District Judge Thurmond Clarke ruled for the defendant. He wrote: "The suggestion advanced that homosexuals should be recognized as a segment of our people and be accorded special privilege as a class is rejected." A three-judge panel of the Ninth Circuit Court of Appeals upheld that decision unanimously in February 1957. The justices supporting the reversal were Frankfurter, Douglas, Clark, Harlan, and Whittaker. As an affirmation of Roth, the case itself has proved most important for, in the words of one scholar, "its on-the-ground effects. By protecting ONE, the Supreme Court facilitated the flourishing of a gay and lesbian culture and a sense of community" at the same time as the federal government was purging homosexuals from its ranks. In its next issue, ONE told its readers: "For the first time in American publishing history, a decision binding on every court now stands. ... affirming in effect that it is in no way proper to describe a love affair between two homosexuals as constitut(ing) obscenity."